Are you looking to learn more about the science behind the voice and voice disorders? Dr. Robert Bastian, an internationally recognized authority in the treatment of voice, airway, swallowing and coughing disorders, will be on hand during the 54th NATS National Conference in Chicago, July 8-12, to address these conditions and more. A board-certified otolaryngologist who has practiced laryngology exclusively since 1987, Dr. Bastian operates the Bastian Voice Institute in Downers Grove, Illinois, an independent institute devoted to the diagnosis and treatment of voice, swallowing, upper airway and cough. In addition, he has devoted recent years to making educational media related to the voice freely available to patients and the broader community via his Bastian Medical Media for Laryngology website; he has also developed self-monitoring tools for voice users to assist them in their daily voice use. The mission of his Bastian Medical Media for Laryngology site: to educate about voice, swallowing, airway, coughing and other head and neck disorders in order to help people work more effectively with their personal physicians. The website’s learning materials comprise multimedia about disorders of the larynx, throat and upper airways; standalone video galleries; standalone photo galleries; and much more. Dr. Bastian has been invited to teach in university and professional society contexts in the U.S., Canada, Mexico, Ireland, France, Belgium and Turkey. 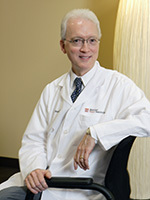 He has been listed for several years by Chicago magazine as one of “Chicago’s Top Doctors,” and by Castle-Connolly as one of “America’s Top Doctors.” He is also the recipient of the Honor Award for teaching contributions to the American Academy of Otolaryngology, as well as, in 2010, the Distinguished Service Award. His passionate interest in the voice flowed initially from his own singing training and experience. Dr. Bastian studied singing with James Wilson, Greenville College; Dale Moore, Southern Illinois University and Washington University; Edmund LeRoy of Conservatory and Schools for the Arts, St. Louis; and Edward Zambara, at the same institution. A subset of his patients are singers, from the worlds of opera/classical and popular music. Monday, July 11, 10:30 am - 12 pm, 'Voice Science with Robert Bastian – Session 1' (Chicago Ballroom D-H - 5th Floor). Monday, July 11, 2:00 – 3:30 pm-, 'Voice Science with Robert Bastian – Session II' (Chicago Ballroom D-H - 5th Floor). Click here to register for the 54th NATS National Conference in Chicago.